Music producing duo and owners of Sugar Bar Nickolas Ashford and Valerie Simpson remember Teena Marie as a “trailblazer” and “a sensational artist” after the R&B songstress passed away on Sunday. “In Motown, when she first joined up, they were so afraid because she was a white girl and she sounded so black,” Simpson said at her and her husband's live music hotspot in the Upper West Side. “They didn't put her face on the album covers because they didn't want to turn off the black audience, but little did they know that she was irresistible and it didn't matter what color she was; everyone was gonna love her and that proved to be true. So she just crossed all kinds of boundaries,” Val recalled about the “Lovergirl” singer. 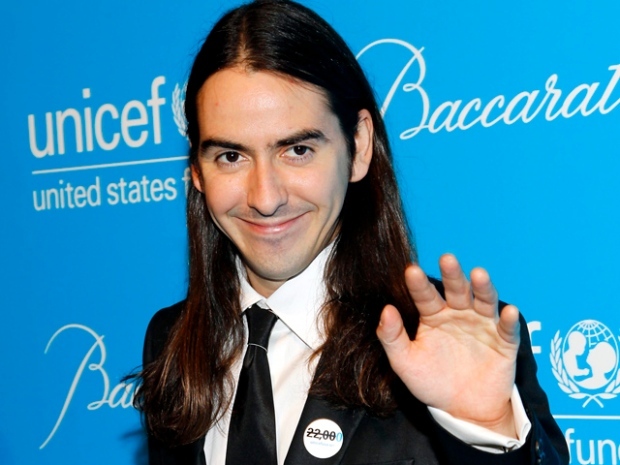 Dhani Harrison attended the UNICEF Snowflake Ball with mother Olivia this week and showed he has the same soft side that his late father had, calling New York winters "romantic." Harrison was also in town to perform with his new band, Fistful of Mercy. The two producers, known for writing hits like Marvin Gaye's “Ain't No Mountain High Enough,” were inspired to open the cozy music hall when hanging out at Maya Angelo' South Carolina home because “so many things come out when you are in an intimate setting,” Ashfordexplained. Sugar Bar has since become a celebrity hangout, attracting stars like Denzel Washington, Whoopi Godberg, Patti LaBelle, and singer Corinne Baily Rae to blues night on Tuesday or open mic on Thursdays. Once, “a while back,” Simpsonsaid, husband and wife movie stars Michael Douglas and Catherine Zeta-Jones stopped by. Despite pressure to get up on stage and sing, Zeta-Jones passed on the opportunity. “She almost sang but she didn't. She was just having such a good time. And I think the place is so soulful that she was not quite ready,” Ashford joked. There's one star the producing duo used to write for who they'd love to reconnect with. Ashford and Simpson said they haven't personally been in touch with Aretha Franklin-- who has been recovering from surgery and cancer – and Simpsonsaid they hope to visit her in Detroit this January.